At first thought we might well be inconsequential. For there to be a galactic war, then a number of species would have to be far more advanced than us, and have cracked the ability to either fly faster than lightspeed or find a means of travel using wormholes or something we've not yet dreamed of; otherwise, any war could at best be local to a few star systems, as the travel time between stars would be too long. Maybe aliens visiting us might take pity and herd us away to a safe zone, the way we try and protect animals in times of flooding caused by a new dam project. Or they might ignore us, the way we ignore ants when we're fighting a war. Or they might plunder our resources before moving on. In any of these cases we'd be either inconsequential or collateral damage. The best we could hope for is protection from a superior race and maybe a footnote in the annals of galactic history once the war was over. The worst would be the planetary equivalent of an unmarked grave. But what if one side did find a use for us? That is the theme of the Eden Paradox series. Years ago I was influenced by David Brin's books where humanity was a 'wolfling race', but we did play a role, even if the politics and technology were beyond us. It is precisely because we would be 'off the grid' in galactic political terms, that we would be an unknown variable. Humanity would be a wild card, unpredictable. 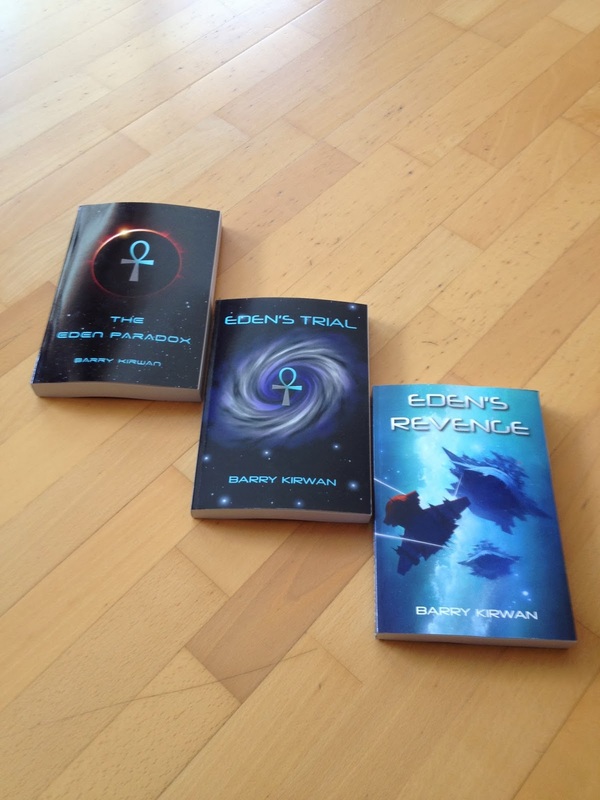 The Eden Paradox series has four books. The Eden paradox is about First Contact, and it goes pretty disastrously. In Eden's Trial, we get to meet more alien races, and begin to understand the 'Grid Society' that has been in place for ten million years and incorporates more than a hundred species far more advanced than little old mankind. We also see the beginnings of the galactic war, the initial invasion from another galaxy. In Eden's Revenge, it gets personal between us and a race intent on our destruction, but all the time the galactic war is getting closer. In the finale, Eden's Endgame, mankind is enlisted by one of the top dog aliens and deployed in the ultimate battle between two super-beings. Are we a pawn or a knight? In the last two books of the series we appear to be treated as pawns, but towards the end that changes, and our role is more strategic. 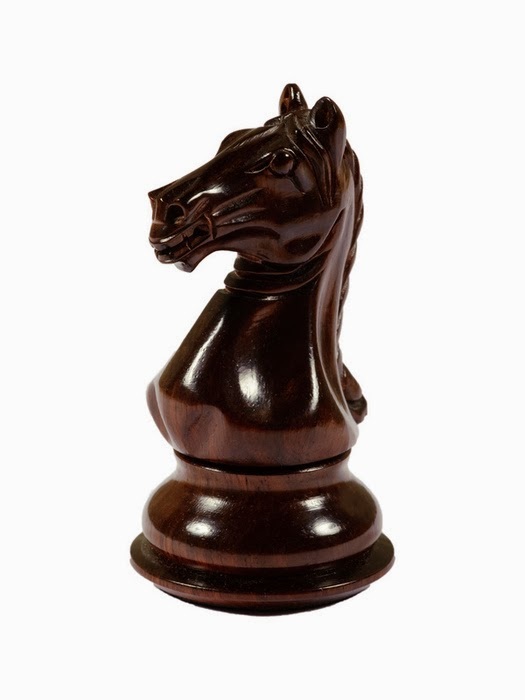 Why a knight and not a bishop or a rook? Knights move in an odd way on a chessboard, i.e. two squares in one direction and then one square at right angles to the original direction - a dog-leg. Again, it's the unpredictability that has value to the more advanced species. Do we get rewarded if we win? 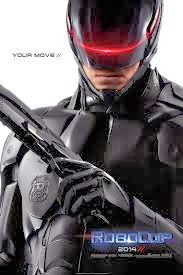 Last night I saw the new version of Robocop - I have to say I prefer the original with its dark humour, but the film was okay, updating the politics of the original. But it got me thinking about the science fiction trope of merging a human with a machine. It's something I have in my own SF novels, and many other authors use it too, so what exactly is the fascination with becoming more like a machine? For me there are three levels of human-machine integration. the first is mainly physical, as in Robocop, where the man inside (what is left of him) is more powerful and is armored, and has augmented reflexes, targeting accuracy, etc. This is still largely a 'man in a suit', not too far from Iron Man. In Robocop and other stories of this genre, often the human mind can be over-ridden via circuitry embedded in the brain, but usually the human triumphs. In Robocop, one of the baddies persistently calls Robocop 'Tin Man', as in the character from the Wizard of Oz, and he has a point. Kat entered, the swish of the door irising closed behind her. He decided to try something he’d been experimenting with, a way of accelerating his cognition. He studied her reflection in the portal, and willed his mind to shift gear. As if in slow motion, her eyes began to close. His mind ran through what she’d just said, using a poly-dimensional scaling technique to study the covariance of her words, her speech rhythm, intonation, body language, eye contact including pupil dilation, and pheromone secretion level. He applied a Neo-Bayesian statistical model of her personality, harvested from every single interaction he’d ever had with her. His brain computed eight potential interpretations of what she had just said, with statistical likelihoods attached. Her eyelids made contact. His mind automatically ran through fifteen different responses he could make, then extrapolated each conversation for the next ten sentences. All but one projection ended with a net sum loss, in terms of her becoming colder with him. Her eyes were nearly open. She had blinked. 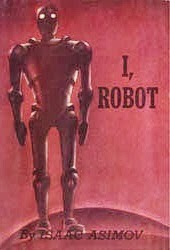 The character Pierre flirts with machine integration throughout all four novels, but in the first three, he remains 'in charge'. This second level of machine integration can be summed up as augmented cognition, or machine-enhanced thinking. The third level, however, is when the intellect and consciousness of a human being is immersed into a larger machine intelligence. 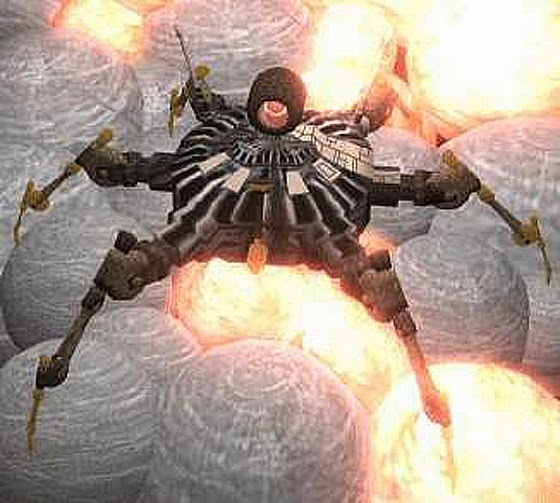 This level has been made most famous by Star Trek and the Borg. 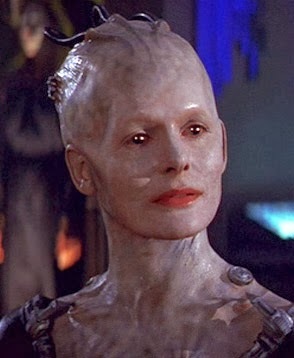 The Borg are portrayed as evil, since they would deprive any species of their liberty in order to assimilate them into their collective intelligence. 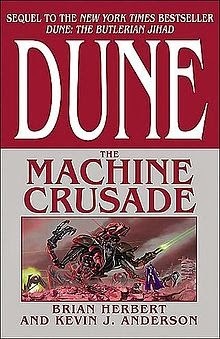 The Dune series also considers a Machine race attempting to take over the galaxy, particularly in 'The Machine Crusade'. But isn't there something appealing about a machine race? Or is it just me (aka Pierre, occasionally, since he comes from my mind)? Why, in the final book of The Eden Paradox series, Eden's Endgame, does Pierre consider selling his soul to a race of machines? First, he is a scientist. Some scientists would like to be able to think faster and deeper and be able to process data themselves rather than relying on computers. If a scientist could one day pick up a syringe and inject him or herself with some nannites and within an hour start thinking like Einstein, do you not think at least a few of them would do it, even if it might have some anti-social side effects? Second, there is a purity about machine society. Of course we don't know any, but the assumption is of a more disciplined society that would have less or even zero politics, corruption, betrayal, etc. The rules would be hard-coded into conscious elements of the machine, such as Isaac Asimov's famed three robotic laws. Such a society would be more stable, and a rigid framework can appeal to scientists such as Pierre, who never understood the subtleties and intricacies of human social interaction, even if he was brilliant at differential equations. Such a society can look more comfortable (to others it would be a nightmare, of course). Third, such a society would be capable of great things as well as terrible ones. Rather than democracy and endless debate and compromise, there would be goals and cohesive action. With a machine race, there would be an incredible capability to explore and evolve. Of course there would be downsides most of us would never want to sacrifice, freedom, love and art, just to name three. But Pierre is not like most of us. 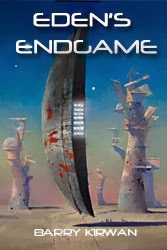 For him, there is a strong lure of the machine, and in Eden's Endgame he will make the final decision over whether to stay with his family, or merge with the machines threatening to overtake the galaxy. As someone enamored with science since a young boy , and as someone who would certainly consider that syringe full of mind-enhancing nannites if one day it became possible, I can certainly empathize with him.